If you are planning a wedding that involves more than one location, soon enough you will have to decide how to get your wedding party and yourself from point A to point B. Two of the most popular methods of transportation are limos and trolleys. How do decide which is right for you is simply a matter of personal preference and budget of course. Who doesn't turn into a giddy little kid when they get into a limo? 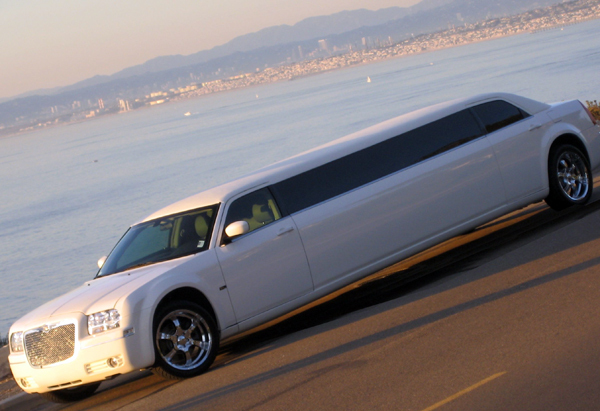 Even as adults, there is something so fun and fancy about stepping into a stretch limousine. Limos are typically less expensive than trolleys, but if you have a larger bridal party, you may have to rent two of them. One challenge with a limo is getting in and out. It's easy enough for bridesmaids and the guys, but a bride with a veil and very full gown may have a bit of a hard time getting in and out. Most limo drivers will help with this. You can listen to music and belt it out with your friends and no one will be the wiser - the windows will keep you hidden from view of other cars. Also, when you arrive at the ceremony location, your guests will not be able to see you in a limo. I am partial to trolleys because I had one for my wedding. 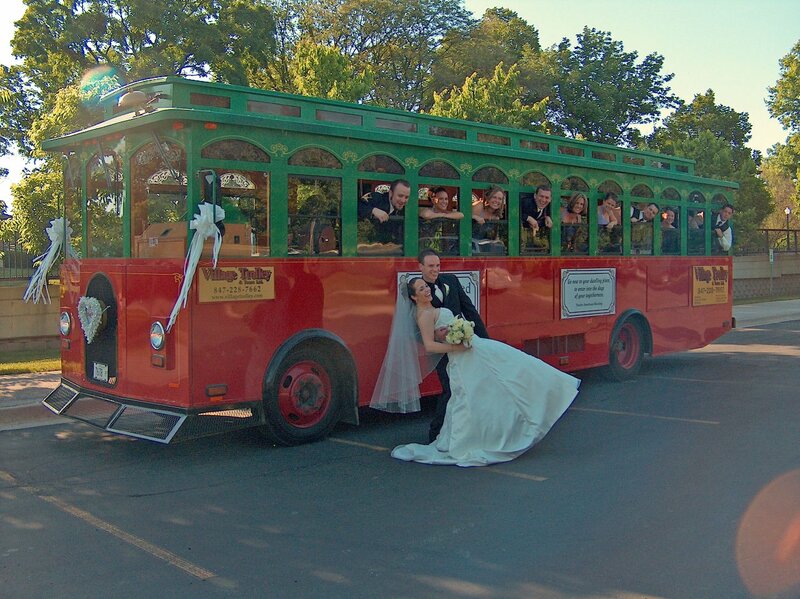 If you have a large bridal party and want to keep guys and girls together after the ceremony, a trolley is a great choice. A trolley is fun and festive - when again will you have a chance to ride in one? I think it is a little easier for a bride to get in and out of a trolley than a limo because it's larger and higher off the ground. However, trolleys are typically a little more pricey than limos and cannot travel as fast. Which is your choice? Either way, you cannot go wrong. Hey there !! nice post. Limo services is one of the best in nj. 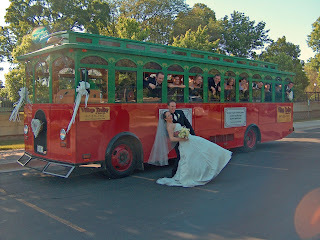 A trolley seems like a fun idea but I think I'm definitely still going to have to side with wedding limos! They're not as fun as trolleys but they're just so luxurious and stylish. Coworkers at Wedding - Yay or Nay? Cleaning Your House For Sale? To Be Heard or Not To Be Heard?